You can reach me at hotlinetothegremlin@gmail.com. I wear black on the… on Chiffon chagrin! So I lied, I said this post would be about a certain Practical Apron, but it won’t be. That particular project is a surprise for someone, and I think it’s safer not to write about it until it’s safe in the hands of the lucky recipient. 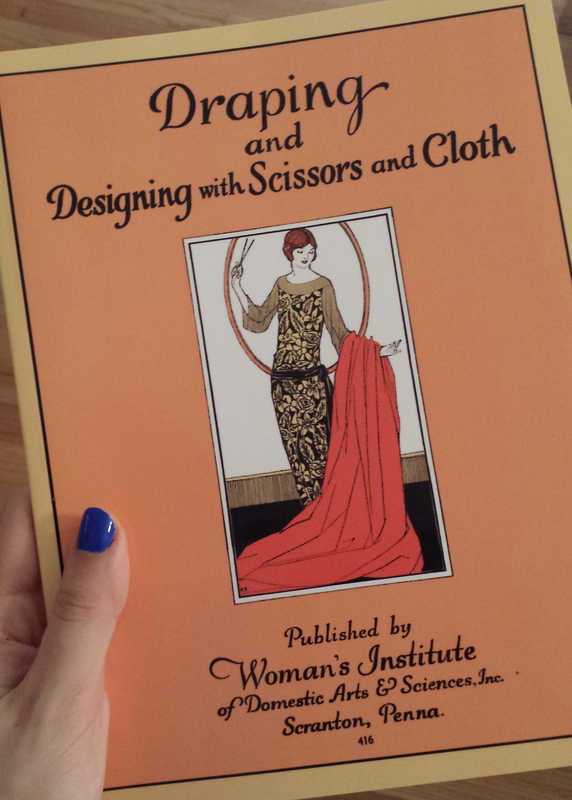 Although I love the convenience of jeans and ballet flats, my sartorial heart is somewhere between 1910 and 1935. But really, any era in which I could wear a dramatic evening coat is an era I could find a way to get down with. Is it velvet cape season yet? I’ve got those on the brain despite the hot weather. At the first sign of chill later this year, I will be sewing this or this, or draping one using the instructions in this booklet. I guess that’ll inevitably entail learning how to deal with velvet nap and, oh yeah, figuring out how to drape garments. That’s going to be nuts, but the end product will be so worth it. It’s also Sewing Indie Month here on the interwebs. With so many beautiful options, how could I not participate? I think it’s a really cool idea, and it’s a huge coincidence that I started the blog right at the beginning of the event, so I’m going to try to go for it. With the keyword “breezy” in mind, I’ve narrowed it down to either the Polly top from By Hand London or Sinbad & Sailor’s Dove Fitted T. My fabric is in the dryer, and I think I’m going to make a gametime decision since both are available in PDF form. I’ve been saving patterns on Pinterest like a madwoman, so there’s no shortage of future projects for me to choose from. It would be overwhelming if it weren’t so positively excellent. And what about you, dear reader? Are you planning on participating in Sewing Indie Month or whipping up a velvet cape anytime soon? This entry was posted in Sewing Projects and tagged indecision strikes again, is it velvet cape season yet?, sewing indie month. Bookmark the permalink. Hmmm, a velvet cape… I think you could be onto something as this sort of garment could certainly find it’s way into my wardrobe! I love the Dove Fitted T – perfect for summer too. I’m definitely going to have to create some occasions for my hypothetical velvet capes, but where there’s a will there’s a way.